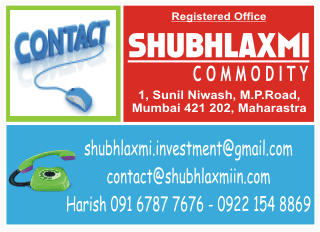 MCX lead formed a broadening formation in the last few months. From the lower end of the pattern, lead has moved up sharply in the last few sessions. On the way up, it crossed the upper end of the falling channel as well as the key daily moving averages. The daily momentum indicator is in a bullish mode. In terms of wave structure, the commodity is forming wave extension on the upside. The current up move has got stretched beyond the equality target. 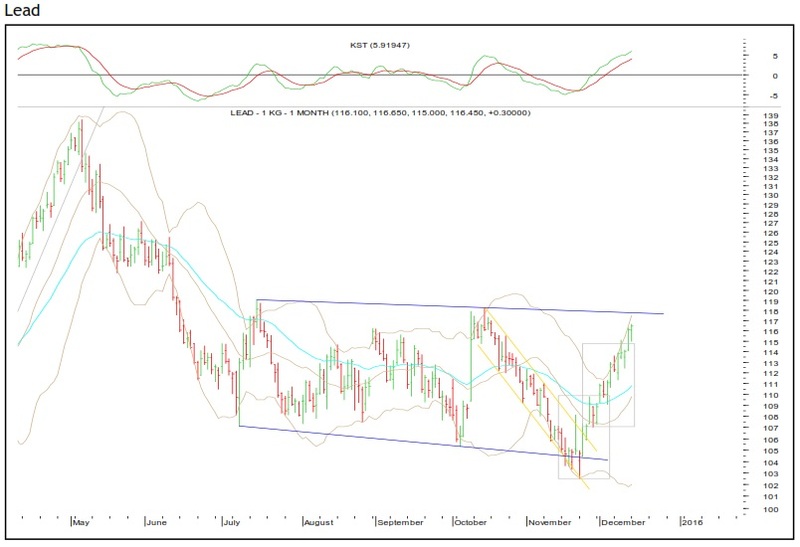 The base metal has reached near the upper end of the broadening pattern. Going ahead, the key area to watch out for will be Rs.117.70-118.20. Further, upside can be expected only if this resistance zone is crossed. Unless the bulls manage to surpass the hurdles lead can come down till Rs.113.60-112.40.